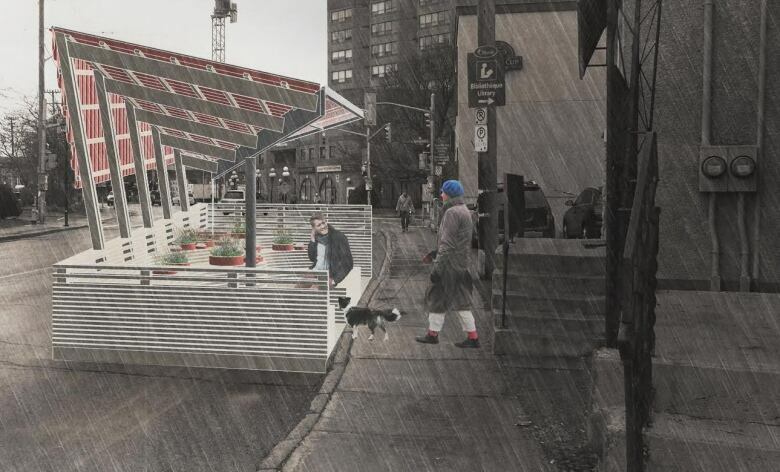 Four Carleton University architecture students have won a grant from the Vanier BIA to build a new type of community space that has been popping up all over North America called a "parklet." 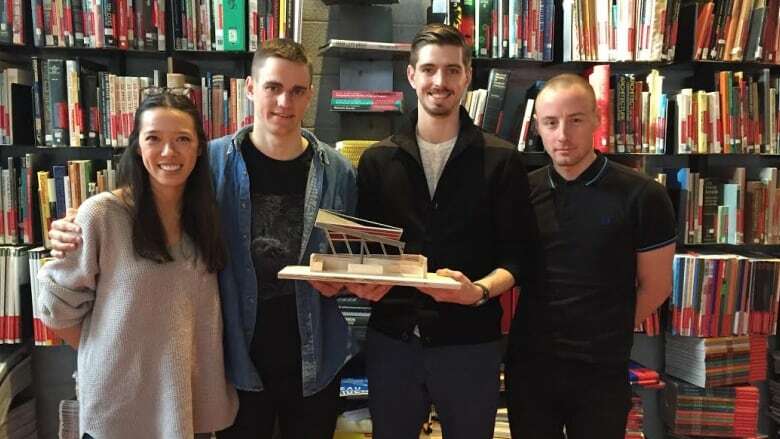 Four Carleton University architecture students have won a grant from the Vanier BIA to build a new type of community space that has been popping up all over North America: the "parklet." The fourth year students competed for the chance to have their seven-by-three-metre park built in a parking space on Beechwood Avenue in front of Arturo's Restaurant in Vanier. "Obviously our design connected with the community in a way because they voted for it," said Trevor Whitten, one of the four winners. "We just want to say thank you, and we know our prof and the school are really happy." The guidelines for the mini parks, called "parklets," were that they needed to be able to fit in a parking space, include live plants and be open to the public. "We wanted to make it an open space where you could come and sit," said Tori Hamatani, one of the four students who designed the winning parklet called Water Garden. "Another requirement was live plants, and we kind of wanted to shape the design around that. So we had the roof inverted, and it will collect rainwater that will be stored in a cistern that can be used to water the plants," said Hamatani. The park will cost $15,000 to build and $5,000 for maintenance as the park will be torn down each fall and reconstructed each spring. Ottawa City Council last year raised the idea of having miniature parks, which inspired the professor of the Carleton students and the Vanier BIA to get together and create this competition. "When the city proposed this idea of having parklets, much like what you find in other up and coming areas of the world like Seattle, Portland, Montreal, Toronto, cities like that, that have these street parklets, we were making a statement on how to use spaces traditionally used for something else," said Jamie Kwong, the executive director of the Vanier BIA. San Francisco is credited with the creation of parklets, after the first one was installed in 2010. Many cities have followed since, including Phoenix, Philadelphia, Los Angeles, and Vancouver. After the winning design was picked from five options, the Glebe Community Association decided to fund one of the other designs. The Glebe design was chosen for Bank Street and Second Avenue in a parking space that is five metres by three metres. Their design is called Nük and will be created with several different types of panels. Light will shine from the inside of the parklet powered by solar panels, through canvas panels painted by local artists. 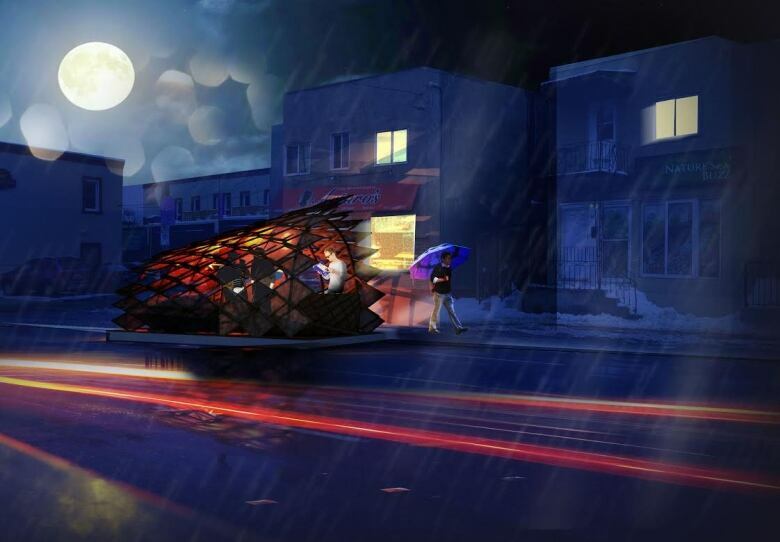 "It will look like a lantern on the street at night time," said Jason Surkan, one of the three Carleton students who designed Nük. Both parks will start to be built in mid-March offsite. They are expected to be finished and in the spaces by April 22.